There are various ways to get help and support with LinuxGSM. We want to help out server admins as best as we can however, our time is limited and is best spent on developing LinuxGSM. Please use this guide to help youself get the correct support. Help us by researching your issue, posting it in the correct place and provide the correct information to help us to resolve YOUR issue. If your issue is with the game server and not LinuxGSM you should check out any official game forums. We are not experts in all 88 servers so official game developer forums could provide better support for game server specific issues. The LinuxGSM website and docs are full of useful information that covers most LinuxGSM topics. It is likely that somebody already come across your issue already. Save yourself time by using Google to search error messages. 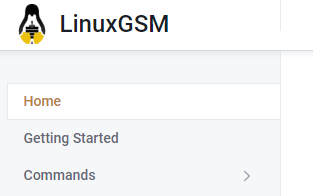 Make sure LinuxGSM is up to date. LinuxGSM is regularly updated and your problem may have already been resolved. 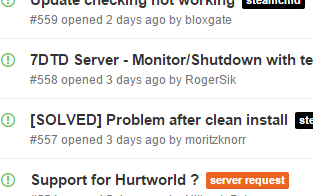 Many people incorrectly post problems on GitHub. GitHub is ONLY for LinuxGSM bugs, feature suggestions and code contributions; NOT for general support. General support is available on the Steam group and discord. There are many volunteers that may be able to help your issue. Any GitHub issue that is suddenly closed by moderators has been deemed not suitable for the GitHub issues page. Please post elsewhere. If in doubt contact us on discord or post on the steam group. But don't worry it's not that we don't like you, we just need to keep GitHub issues relevant to LinuxGSM development to speed up our workflow. The game server you are running (e.g. Rust/CS:GO). The link from ./gameserver postdetails command. The context of your error and the exact outputs. Your Linux distro and version (e.g. Ubuntu 16.04 x64). Any useful log in /home/gameserver/log (use pastebin or equivalent). Your basic server hardware (CPU/RAM/Storage/Bandwidth). Any test you have already tried. Any relevant information you think will help.